A girls new best friend and the only power pack you’ll need, specially if you use your phone a lot or like me constantly on social media. With Rescue juice you will have unlimited amount of power. You can recharge the power pack at home or refill instantly at any reseller. Their motto: Never ending power. 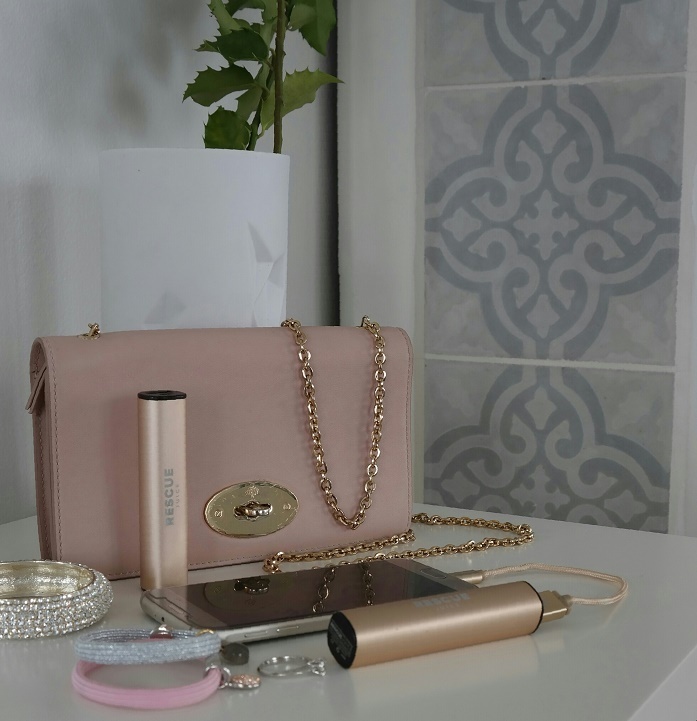 I like the fact that it comes in a handy little size, not bigger than a lipstick with a neat design and the fact that you can exchange the power pack at any place selling them for a small fee and get a fully recharged one in return. 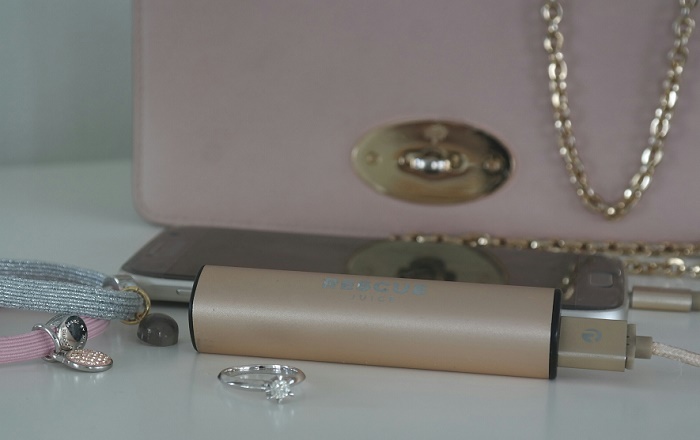 This sleek champagne colored little thing fully charged will recharge a regular sized smartphone such as the iPhone 5 over 100% on one charge or an iPhone 6 Plus and Samsung S6 over 70% on one charge. It actually recharges any USB powered gadgets. I got to know this little gadget when I was at the Gladmat festival in Stavanger this summer. After long days of tasting food taking pictures for instagram and snapping I kept draining my phone of power. What to do? Back to the hotel room, no takes to long. Have a vendor re charge my phone, they can’t promise that my phone will be safe. I had noticed that one of my fellow jury members never ran out of power and also kept gong to one of the participating food trucks at the festival. I thought he was going to savour their menu again, but it turned out that it was for something different. This is how I learnt about the concept of Rescue juice. 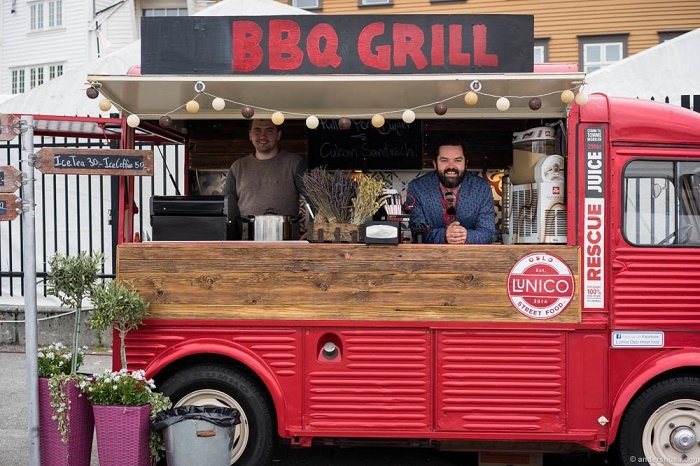 My fellow jury member and food blogger Anders Husa got his battery pack, his Rescue juice exchanged at this food truck. I bought a black second generation power pack and through no fault of theirs I lost it or miss placed it, still have not found the thing. Unfortunately for Anders Husa I kept pestering him about it. I would send him a snap saying only 10% power left and I would get “Are you in Oslo and where?” in reply. I would tell him where I was located and he would come to my rescue and let me borrow one and the next time he would give me a fully charged one:D Actually I was pestering him about buyng one and when the new generation the champagne colored one was launched, I finally got a new one. Rescue Juice batteries are made in exactly the same factory as Tesla batteries. Through reusing the Tesla – Panasonic Super Max technology they can say that their battery is like no other. It is crafted in a luxurious super strong aluminium and it can take a beating without breaking. Their electro colouring system keeps this Rescue Juice good looking even after months of use and abuse. Someone told me- Confidence late fridaynight at 23:59 is 100% Rescue juice. I am not paid to write about this product, I am just a big fan.